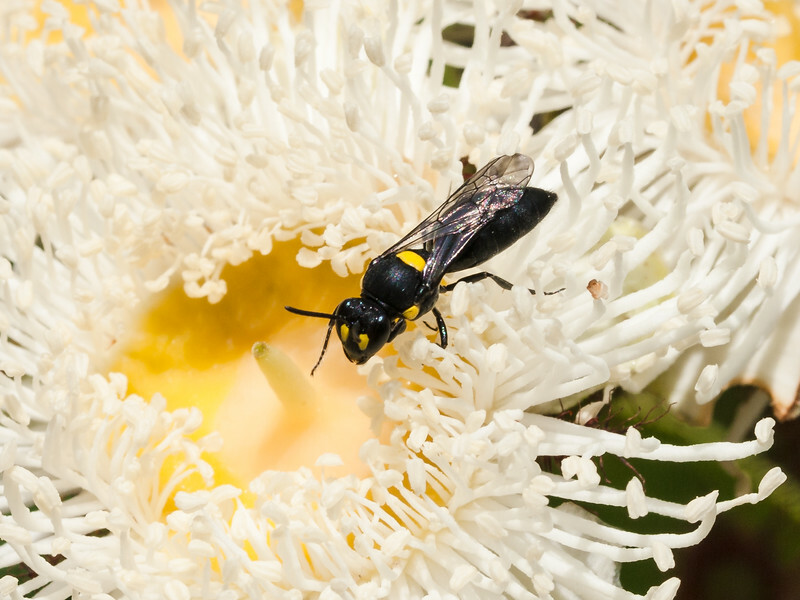 Seeking pollen in the huge blooms of an Angophora hispida. Notice the absence of scopa. They differ from other bees in that they keep their pollen in a crop.